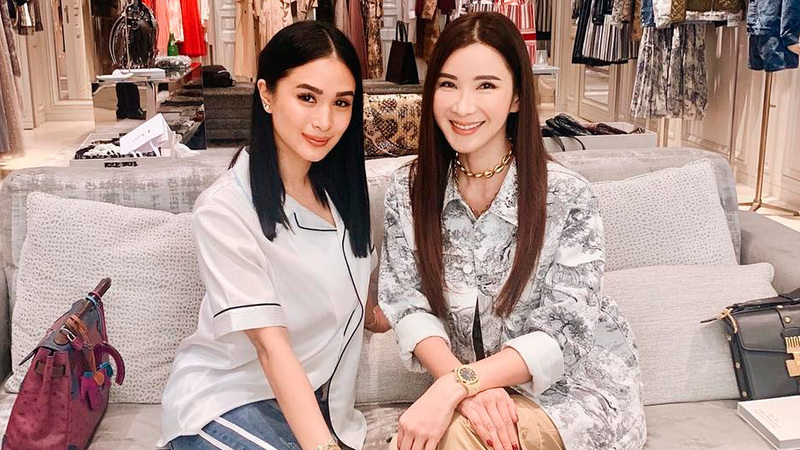 Guess who Heart Evangelista had afternoon tea with over the weekend? Singaporean socialite Jamie Chua. The two ladies posted on Instagram the same photo with similar captions. Heart wrote, "It was so lovely to see you." Jamie remarked, "It's so good to see you in Singapore!" The 45-year-old entrepreneur has a 700-square-foot, fingerprint-protected closet, where she keeps over 200 Hermes bags. Touted as the "Holy Grail" in any any bag collection, it has broken auction records twice, according to TheFashionLaw.com. In June 2017, a three-year-old Himalayan Crocodile Birkin was sold for $380,000 (P19.8 million*) at Christie's Auctions & Private Sales in Hong Kong. In May 2016, an eight-year-old Himalayan Crocodile Birkin was sold for $300,168 (P15.7 million*). *Based on today's currency exchange rate.